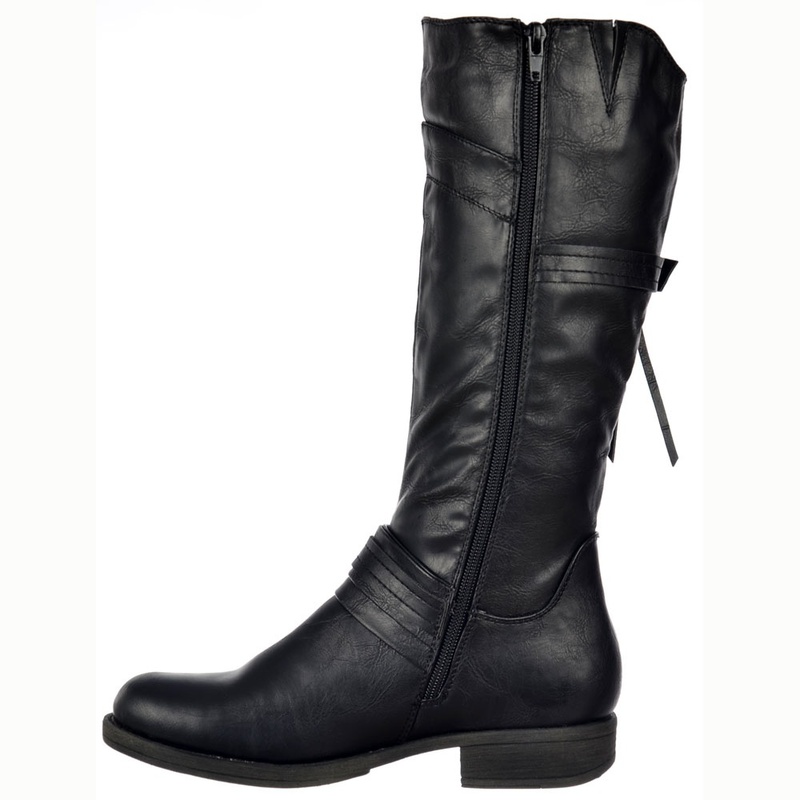 Fantastic Knee High Biker Styled Boot with 1.25 inch Block Heel , It has Two feature Buckled Straps with a Full Length Stylish Side Zip for easy On/Off. 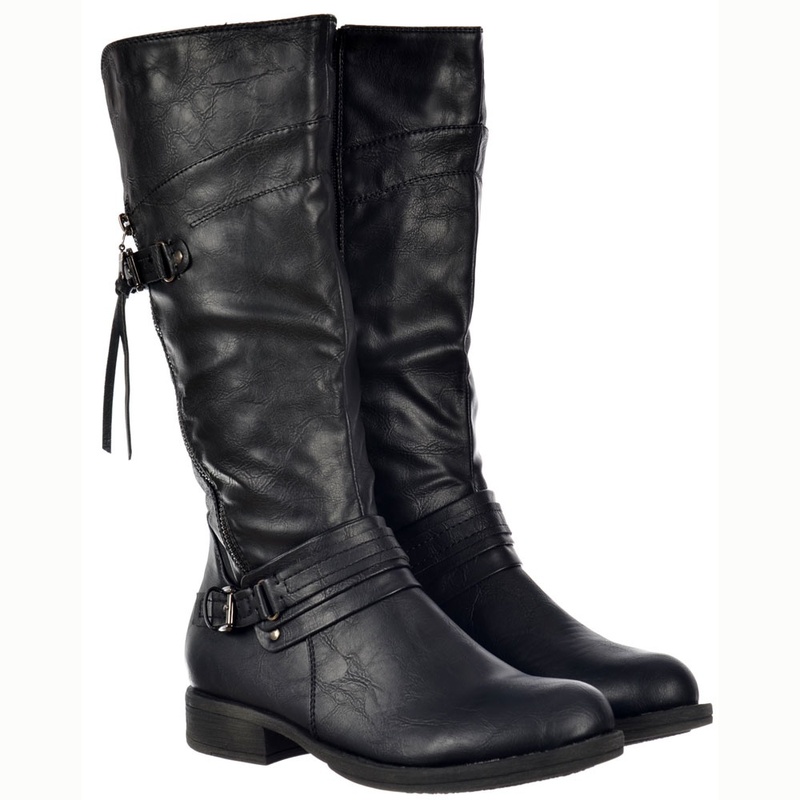 It comes in Black Synthetic Leather that looks exquisite and Can Compliment Any Outfit. Approx 15 inches Tall.